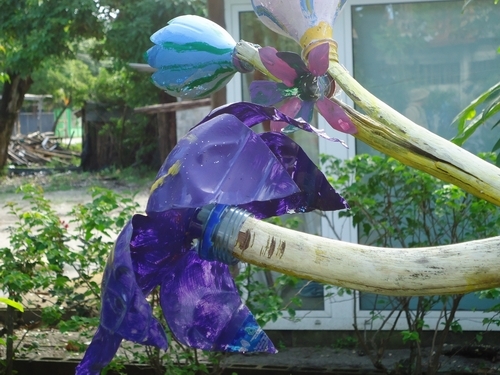 What to do with a plastic bottle? 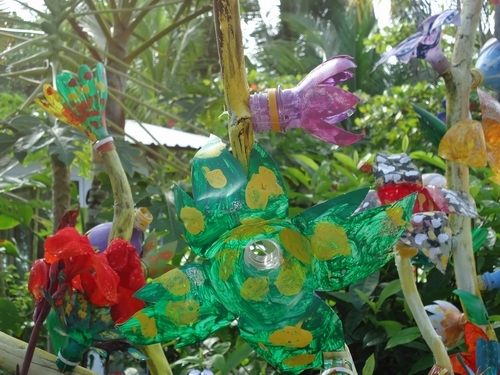 In a developing country, like Costa Rica, dealing with waste is a big problem. Garbage pick-up is a relatively new concept in this very rural culture, and not universal. Refuse was not a problem for the Ticos in the past: organics like rice and beans are given to the chickens or the dogs and everything else is burned. When I asked my housekeeper what they do at home with tuna fish cans, she said, “We don’t have cans.” In the past ten years, we have seen a tremendous growth here in the availability of STUFF that gets thrown away, much of it to serve the tourists, on whom our economy depends. 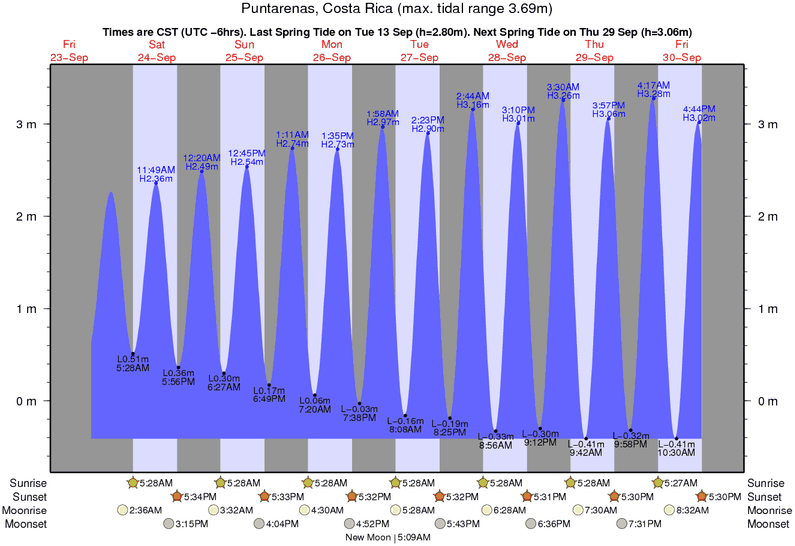 Although the water is clean and drinkable throughout Costa Rica, many visitors insist on drinking bottled water. (I wish the US CDC would quit telling them to, cause it’s just not necessary.) Although most of us recycle as much as we can, these bottles fill our land-fills and wash up on our beaches. 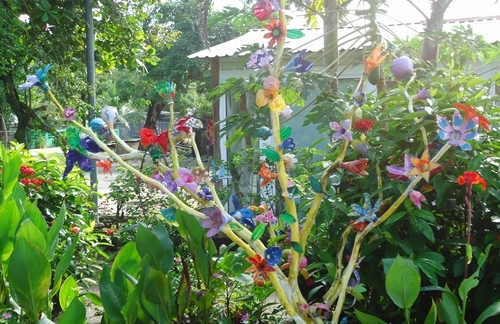 To beautify our pueblo and to bring attention to the issue, Samara Pacific School has mounted trees throughout Playa Samara made of plastic bottles. 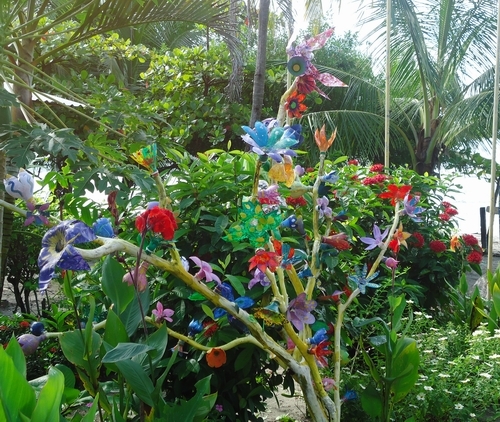 The multi-cultural, multi-lingual children, ages 2-6 1/2 made these flowers in their art class.